Luke’s gospel has earned a reputation for being greatly concerned with social justice. Jesus’ attention to those downtrodden for reason of race, class, or gender is a stunning example of how we ought to treat our neighbors. His extensively detailed ministry to diverse groups of people for the sake of unity is a particularly important message in the face of the extreme individualism of today. 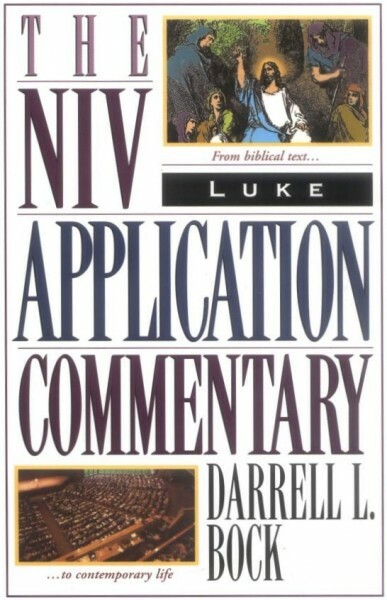 In the NIV Application Commentary on Luke, author Darrel L. Bock will illuminate Luke’s original meaning without sacrificing insights on practical, real-life application. Many Bible commentaries offer us an exciting tour through the ancient world of Biblical times. They give us cultural backdrop and add new, wonderful layers of meaning to familiar stories and passages. But when the time comes to return to normal, everyday life, we are left disconnected from the memories of our trip—without the knowledge of practical, real-life application. This is where the NIV Application Commentary series picks up the task. It merges the original, ancient context with right now, showing us both how ancient readers would have read the Bible and how we can connect to this living word of God from a modern context. Most importantly, however, it helps us begin the life-changing process of true application, showing how God’s word can continue to have a powerful voice in our lives today. The NIV Application Commentary uses a highly accessible, three-tiered method of bringing readers to a fuller understanding of each Biblical book. Original Meaning will explore a book’s meaning in light of its historical and cultural context. Bridging Contexts, as its name implies, will help the reader link the text’s original meaning to its Contemporary Significance—the final tier that helps you apply the Bible to everyday life. “It takes more than interpretation of God's Word to change lives, it takes application. This commentary volume is part of the "NIV Application Commentary Series." You can purchase the entire New Testament Set here or a set of both Old and New Testament volumes on this page.